Who doesn’t love a big bowl of delicious and comforting soup on a cold day? 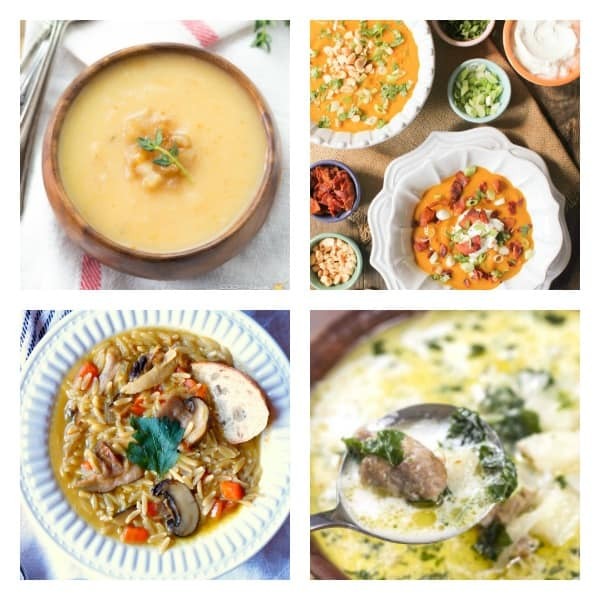 These 20 soup recipes are diverse and interesting and will surely please all the soup lovers in your family. The combination of simple ingredients makes me want to make one of these recipes every day! Make a big batch and put some in the freezer to eat later. I like to cook several different kinds of soup and then can or freeze them into individual and family sizes, so when I don’t feel like being in the kitchen, I have something wonderful to eat that’s already prepared. The best part is most of these soup recipes can be made in your Insta Pot or slow cooker. With a few modifications in cooking time, you can put dinner on the table with as little effort as possible. Check out these cooking options and see which one you think would work best for you and your family!